First, my thanks to Cinabar at Foodstuff Finds for sending me this bar to review. Be sure to check out her blog! The orange fondant tastes fantastic. It's really zesty. It's as if Fry's had squeezed fresh oranges right into the fondant. I really can't think of a better tasting filling I have had recently. The texture only slightly grainy, and a little sticky. I think that's a good fondant texture. The issue is that it is REALLY, REALLY, REALLY, REALLY, REALLY SWEET. I am not saying that my blood sugar actually shot up 50 points, but my throat is still burning and my teeth ache. Being the incredibly sane person that I am, I of course kept eating. As you get a little more into the bar it does seem to level out, but ow! What I've noticed with all of the filled UK candy that I have had so far is that it always seems to be sweeter than its American counterparts -- so I have to wonder if I think this bar is overly sweet because it really is, or because it's just not what I'm used to. In any event, I really loved the fondant and wished that there were more candies with such a vibrant filling. The chocolate is "meh." 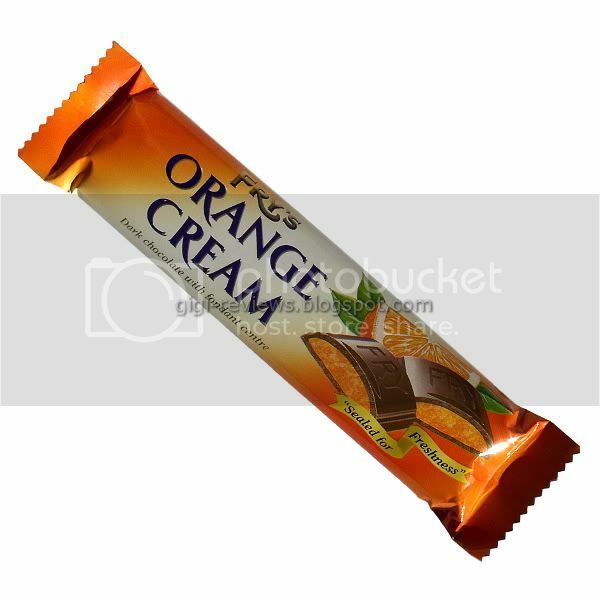 It's a dark chocolate; which is always great with orange. 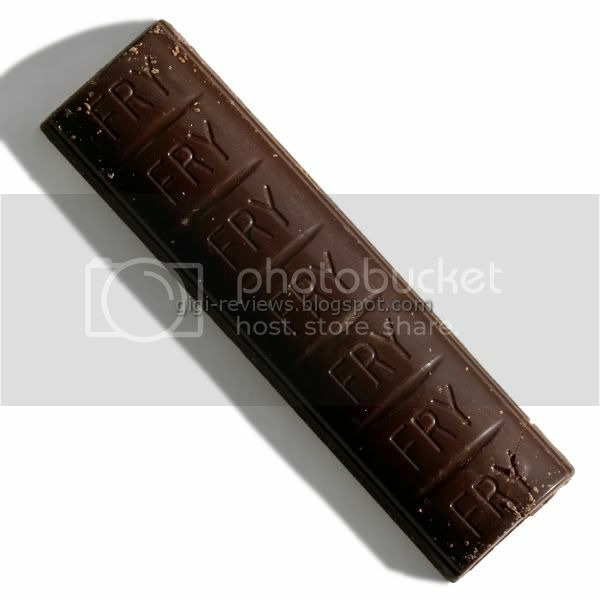 This chocolate is just mediocre. It's waxy in texture but it does have a nice snap. It's not complex. Beyond mentioning that it tastes deeper than equally middle-of-the-road milk chocolate, there's really not much to say about it. 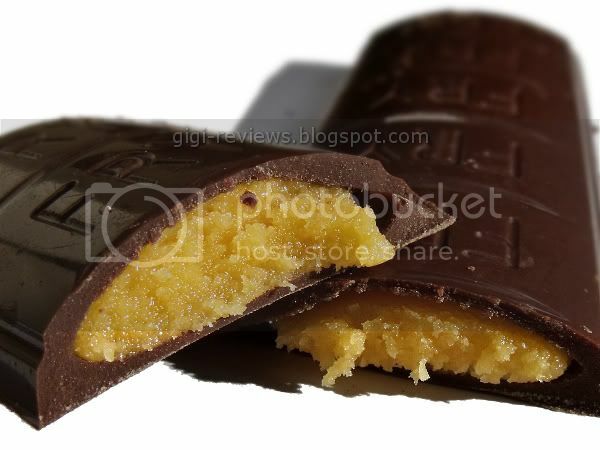 Be sure to check out Jim's review here, and Cinabar also has a review on her site. May contain traces of nut and dairy products. Suitable for vegetarians but not vegans. Ooo! what's this? Yum! look at that! oh wait. It's dark chocolate. Ack! Now Josie, remember if you are going to be greedy and eat chocolate dark is the way you want to go. More nutritional bang for the calories! But now that you have said it, I do have a review coming up of Sweet's Candy Orange Jelly sticks in Milk chocolate so you might like that!